"The government has announced two ceasefires in order to give the UN initiative and the UN special envoy’s efforts the opportunity to achieve results and guarantee the withdrawal of the rebels from the city and the port, but the militants refused to respond to it and turned down the initiative," Bajash said, as quoted by the SABA news agency. In late June, UN Special Envoy for Yemen Martin Griffiths announced his plans to launch talks with the conflicting parties within several weeks. The UN official held negotiations with Yemeni President Abdrabbuh Mansur Hadi and the leadership of the Ansar Allah (Houthi) movement with both parties having expressed their readiness to return to the negotiating table. The military operation of the Yemeni government and the Saudi-led coalition in Al Hudaydah was launched last month. 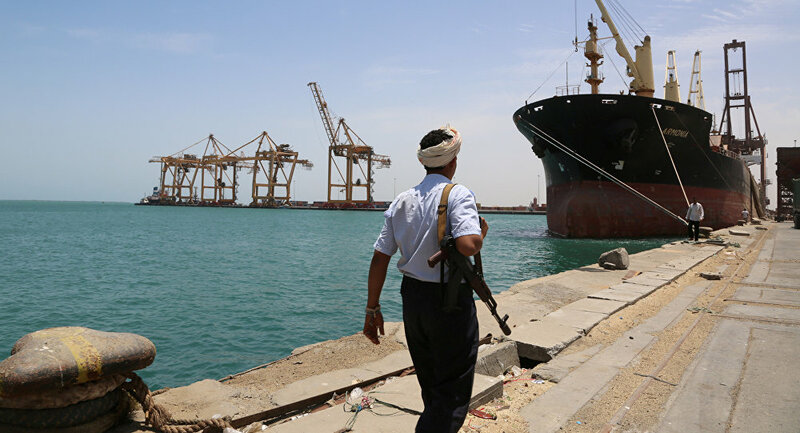 Media reported in late June that the Houthis were willing to hand control over the Yemeni port to the United Nations in order to ease tensions. However, the rebel movement told Sputnik on June 26 that the issue of control over Al Hudaydah did not fall under the responsibilities of the United Nations, since the latter’s primary goal was to observe the situation.